Indian Railways would soon provide concierge services to passengers, use drones to ensure timely completion of projects and set up a dedicated analytics team for speedy decision making. Railway Minister Suresh Prabhu, who on Thursday unveiled his second Rail Budget, sought to enhance passenger comfort through the use of technology. To facilitate last mile connectivity for passengers and tourists, Indian Railways would provide concierge services through IRCTC at major stations. It would help passengers source information regarding running status of trains and would help them in booking cabs. All indications are that IRCTC may join hands with concierge services firms for the same, much to the delight of a bunch of tech-enabled startups that have recently joined this space. "It sounds like an exciting opportunity but we need to look at what sort of scale we are talking about. It ultimately depends on the government's roll-out plan," said Ajeet Kushwaha, co-founder of Joe Hukum, an app-based provider of concierge services. Joe Hukum recently raised seed funding. "Since it is a service oriented facility, it would be ideal to start with a pilot project and grow with the learnings," Kushwaha added. Neelesh Rangwani of Wishup, a chat-based concierge services startup, says he will get in touch with the IRCTC to understand more about the proposal. Railways-led concierge services are presently available in 22 railway stations. The ministry wants to use latest drones and leverage geospatial-based satellite technology for remotely reviewing progress of major projects. Vipul Singh, co-founder of unmanned aerial vehicles startup Aarav, said: "It is a great step. In manual surveys, a lot of time is wasted and data accuracy is guaranteed. In case of a UAV, a 10 km stretch can be covered in less than a day compared with three-four days when the same thing is done manually." Aarav, which claims to be the only indigenous UAV maker in India, recently raised seed funding from StartupXseed. Moreover, a dedicated, cross functional team called Special Unit for Transportation Research and Analytics (SUTRA), would be set by the ministry. The endeavour is to optimise the railway's investment decisions and operations through the use of analytics. IT industry body NASSCOM welcomed the tech proposals in the railway budget. "It is good that the government is walking the talk on IT integration and deployment of e-services, to achieve the dream of Digital India," a NASSCOM spokesperson said. Indian Railways generally collects data pertaining to passenger preferences, ticketing patterns, commodity flows, train running and information on various services. 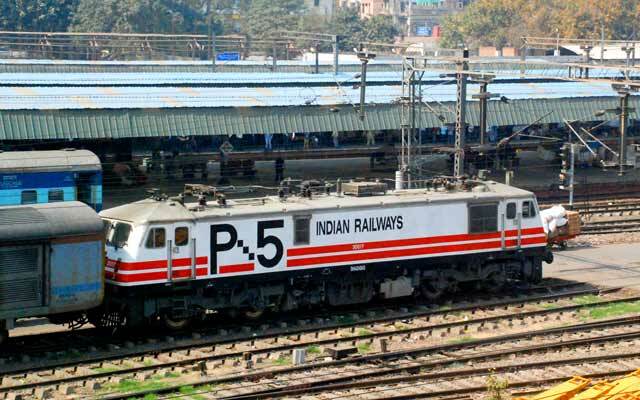 "We are exploring the possibility of monetising our data, software and some of the free services provided by IR such as PNR enquiry, currently being commercially exploited by other players but at the same time ensuring that no compromise to customer privacy is made," Prabhu said. The railways will also use the IRCTC website for exploiting allied e-commerce opportunities, given the huge traffic that the portal gets. The ministry is setting aside Rs 50 crore to provide innovation grants to employees, startups and small businesses. "On an annual basis, we will seek out solutions to IR's most critical problems through an innovation challenge," Prabhu said. Passengers would also be able to request toilet cleaning of railway coaches by sending an SMS to 58888. Further, Indian Railways will install a high-tech centralised network of 20,000 screens across 2,000 stations for enabling real time flow of information to passengers. This would also create advertising opportunities. Further, IRCTC's ambitious e-catering project will be extended to 400 stations this year from 45 stations presently. Also, 400 railway stations would get access to free WiFi by 2017-end, in partnership with Google.